Loch Linnhe is a marine lake in the Scottish Highlands. In this mountainous terrain, cut by hills, rivers , lakes and greenery in the northwest of Scotland, is the highest peak in the UK - Ben Nevis. Dominant at 1343 meters altitude, it is part of the mountains in the region Lochaber, but at its base retains the beautiful lake Loch Linnhe. Linnhe is part of Glen Nevis Valley, but a few miles away, is the town of Fort William. Loch Linnhe is located on the western Scottish coast. Known as the Loch Laich, far above the small fishing village Corran, locals call Linnhe “Dhubh”, but down from the village lines, towards the sea, it is known as Linnhe Sheileach. In the southwest corner of the lake is the Firth of Lorn, where Loch Leven is. The branch of Loch Linnhe, which lies southeast of the lower island Lismore, is known as Lynn of Lorne. All around there, are lakes that join Linnhe. Loch Eil merges with Loch Linnhe a little further, in its most northerly point, and Loch Creran joins the lake off eastward. Fort William is located at the northeastern end of the lake’s estuary River Lochy. Into Curran regularly travels a road ferry. 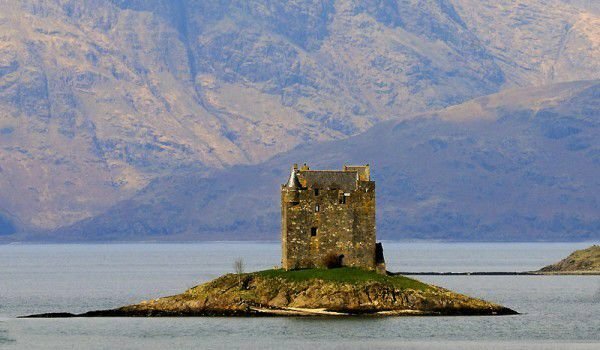 On the shore of Lake Loch Linnhe are several small villages and tourist facilities that offer everything needed for tourist visits. In Argyll, on the coast are several nice tourist cabins. The lake itself is not very big - the length reaches 15 km and average width is about 2 km. The largest flow of tourists to Loch Linnhe is during the summer months when the setting sun merges with the horizon. At that time, Loch Linnhe is a popular place for photographs. Fort Williams and the proximity of its natural attractions are easily reached from the main town of the Scottish Highlands - Inverness , which is about 65 miles southwest on highway A82. Fort William itself has easy connection to the Isle of Skye to the west, south of Glencoe, Oban & Argyll, Inverness and Loch Ness in the north and east is Aviemore and Perthshire.